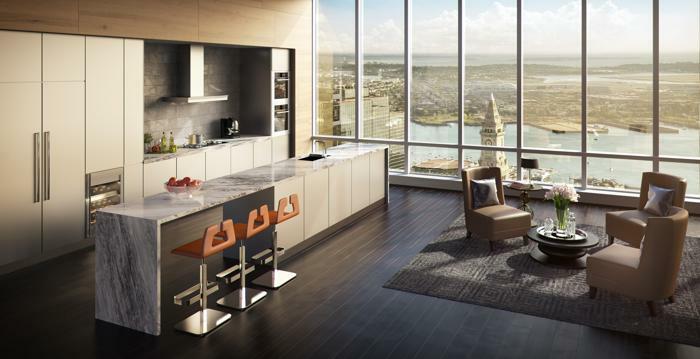 Condos at Boston’s hottest new building, Millenium Tower are selling faster than they can build them. 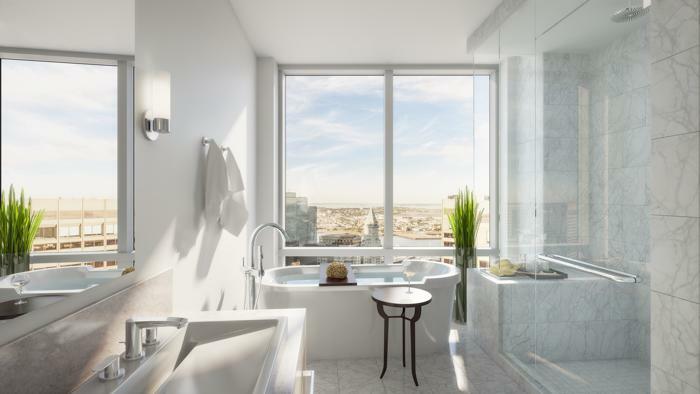 The Millennium Tower is the city’s tallest and chicest apartment building yet and is on track to sell out before it even opens. 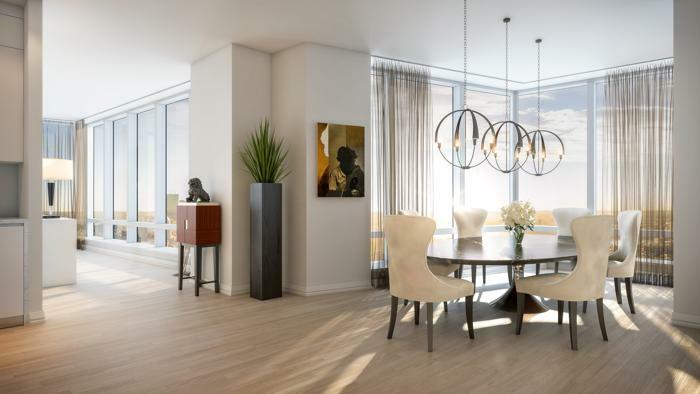 There are already sale agreements on more than 90 percent of the 442 luxury condos. With opening day set for next summer, that gives the developer plenty of time to make deals for the remaining 40 or so units. 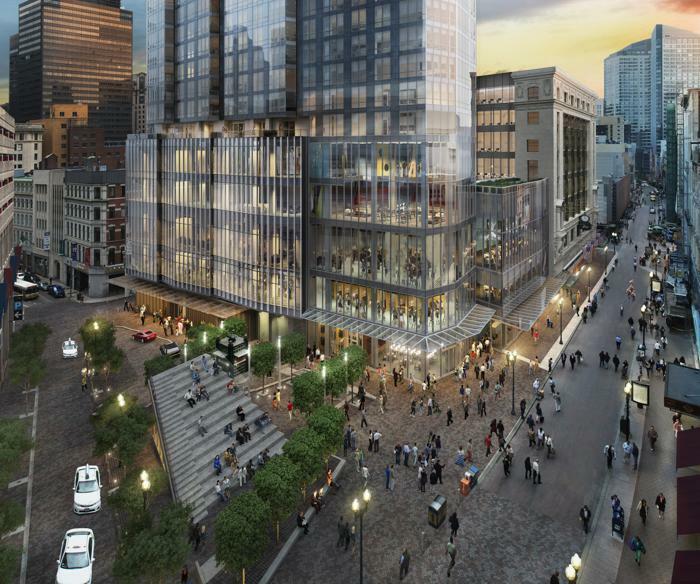 The developer plans to have a “topping off” ceremony on Thursday to highlight construction progress n the 60-story tower in Downtown Crossing. The occasion traditionally marks the last beam raised or in this case “the final concrete pour”. Millennium declined to comment on the sale. 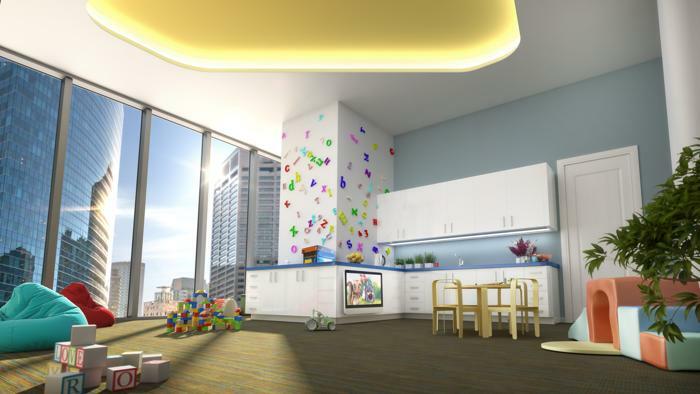 However, one industry executive said some of the more recent agreements have been for the tower’s deluxe penthouses. The developer previously states that some sales have been as high as $9 million. Just under agreement is the tower’s crowning jewel, a $37.5 million penthouse. Take a look inside the super luxe unit below. 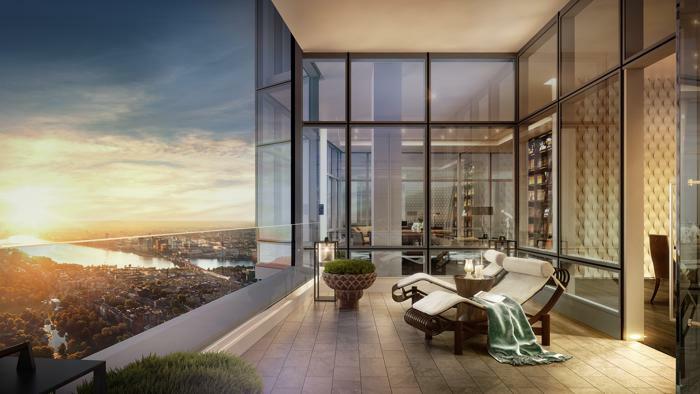 “Regarding the penthouses, they are among the most exciting real estate offering in Boston and there is a strong interest from a number of qualified buyers with active discussions currently underway,” reported Richard Baumer, a partner at Millennium Partners. Take a look at the remaining Millenium Tower listings here.